In this interview, I discuss the best long-term investment opportunities in the sector, which stocks I am cautious on, and what the future holds for the sector as a whole. Q: Do you think it’s worth investors owning Healthcare stocks, given the current environment? Are there good quality companies within the sector? If so, are they good value? The answer to the first question is easy – yes, as there are many high-quality healthcare companies listed in Australia that are actually global leaders in their field. These companies possess the criteria that IML always looks for in a stock i.e. a strong competitive advantage, recurring earnings and capable management. These include CSL, Cochlear, Sonic Healthcare, Ramsay Healthcare and Ansell, to name a few. The harder question to answer today is whether these companies represent good value, following the re-rating that many of these stocks have enjoyed in the last few years. Looking at the sector, many healthcare companies are currently trading at high price earnings (PE) ratios. However, a high multiple doesn’t necessarily mean a stock is overly priced, and so this is where, as an analyst, it is critical that I make an assessment of each company’s quality and long term prospects. As an example, CSL is a global leader that invests over a third of its earnings back into R&D, so that it can continue to grow sustainably. This has allowed CSL to deliver earnings growth of 20 per cent per annum for over 20years. This means that it clearly deserves a premium to the Industrials market – the question is, how much of a premium? Looking at the whole sector, the PE premium is now close to 100 per cent relative to the broader market, which is close to historical highs. And there are a number of companies with PE multiples at, or near, their own 10-15 year highs. These include Cochlear (40x), Fisher & Paykel Healthcare (37x) and ResMed(28x). The premiums for these larger stocks makes us less optimistic about the sector’s returns in the near term but, as always, there are stocks that are offer value – it’s just that they are now much harder to find. What is your favourite Healthcare stock and why? This would have to be CSL, which was originally a government entity (Commonwealth Serum Laboratory) that was listed in 1994, with a market cap of less than $500m. Today CSL is the global leader in the plasma industry, having delivered compound earnings-per-share growth of 20 per cent per annum for over 20 years and now has a market cap of over $60bn. CSL’s excellent management team has been a big driver of this success, with its strong science focus ensuring R&D is an ongoing strategic priority. CSL has also benefited from a number of well-timed large acquisitions, which have continued to improve its business. CSL has been very patient but also bold, with these acquisitions being made at ideal points in the cycle. In my view, CSL ranks with Westfield, Brambles and Amcor as one of Australia’s best international success stories. The question now is, with the Healthcare sector’s ongoing focus on innovation, can CSL continue to stay ahead of its competitors and continue to perform well? As a global leader, CSL’s scale means it has relatively low-cost operation and the ability to run large R & D programmes relative to all of its competitors. 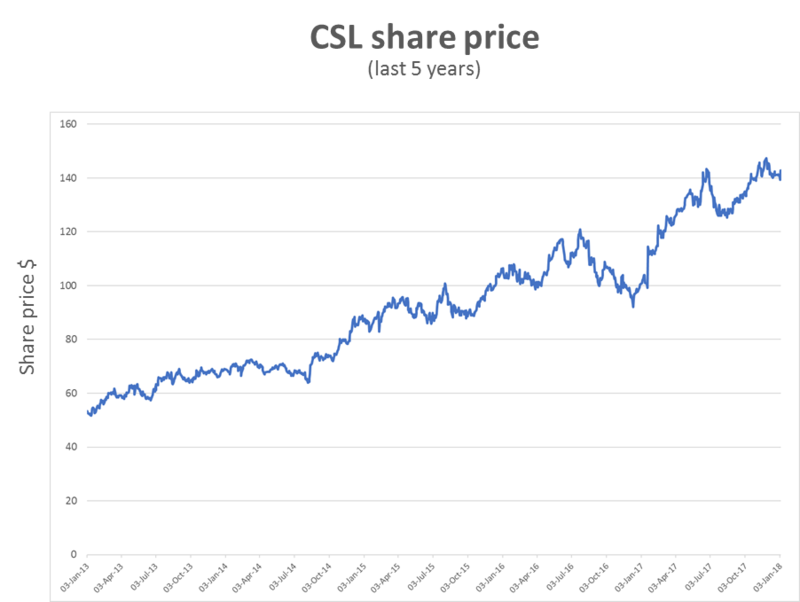 We first invested in CSL in 2010 at $30, and with it now trading at well over $140, we have recently trimmed our holding. While CSL is IML’s largest healthcare stock holding and has been for some time, Sonic Healthcare is currently my favourite investment. Sonic Healthcare is the largest pathology operator in Australia, Germany, Switzerland and the UK. It has a great reputation for quality and service, while its long-standing management team has a strong focus on innovation and developing new diagnostic tests. Sonic also has a strong balance sheet, which has allowed it to make accretive bolt-on acquisitions as they arise - an area in which Sonic has an excellent track record. In addition, Sonic pays a very reasonable 3.8 per cent dividend yield. Are there any Healthcare stocks IML holds that have disappointed recently? Mayne Pharma has been a disappointing holding for our funds in the last 12 months. What attracted us to the company was its diverse revenue streams from its three divisions - generics, branded drugs and contract services, as well as the company’s extensive R&D pipeline. What we didn’t foresee was that in 2017, a number of large US pharmaceutical buying groups merged and then re-tendered all their generic purchases. This led to significant price discounting within the generics industry of circa 7-10 per cent. Mayne Pharma had expanded in the US generic market through an acquisition of a significant generic portfolio from Teva in 2016. The acquisition from Teva looked like a good one as the multiple paid looked low, as it came from a forced sale from Teva after the FTC (the US competition commission) forced the divestment of certain drug categories from Teva following its merger with Allergan. 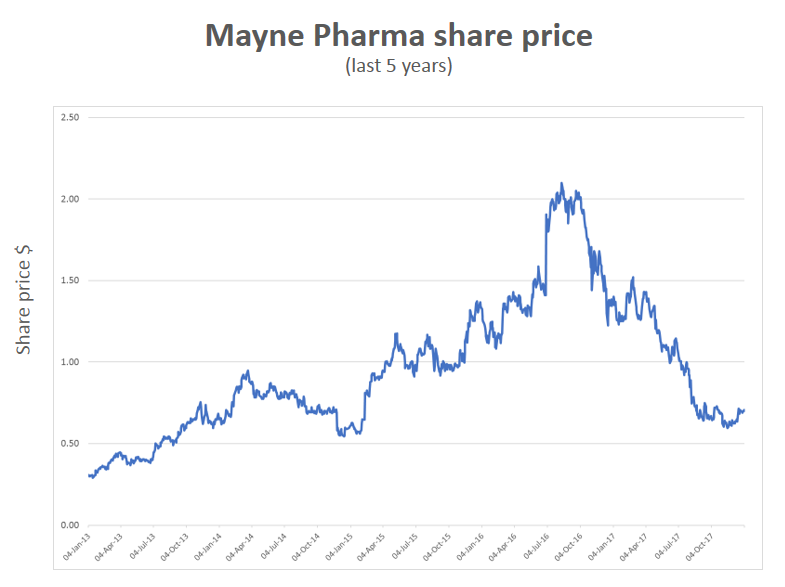 While the last 12 months performance has been disappointing, and we expect generic price deflation to impact Mayne Pharma’s FY18 earnings, we are encouraged by the outlook of Mayne’s branded drug business and contract services business, which are both growing at 10-20per cent per annum. We estimate that these divisions will make up over 50 per cent of the earnings of Mayne Pharma in FY19. We also believe that US generic prices will stabilise in the next 12 months, with some early signs of stabilisation in this market now appearing. Mayne’s US generic earnings division should also do better from the second half of FY 18 onwards assisted by Mayne Pharma’s extensive R&D pipeline, which should see a number of new products launched in the US market in 2H18, 2019 and 2020. Mayne is clearly a stock that’s out of favour at the moment, however longer term we still believe that the company can do well thanks to its diversity of earnings streams and good balance sheet, and that the areas in which the company is involved are still witnessing good growth. We continue to monitor the company’s progress closely and are looking to add to our holding once our indicators show a definite stabilisation in the prices of US generics. What are some of the Healthcare stocks that IML doesn’t currently hold and why? 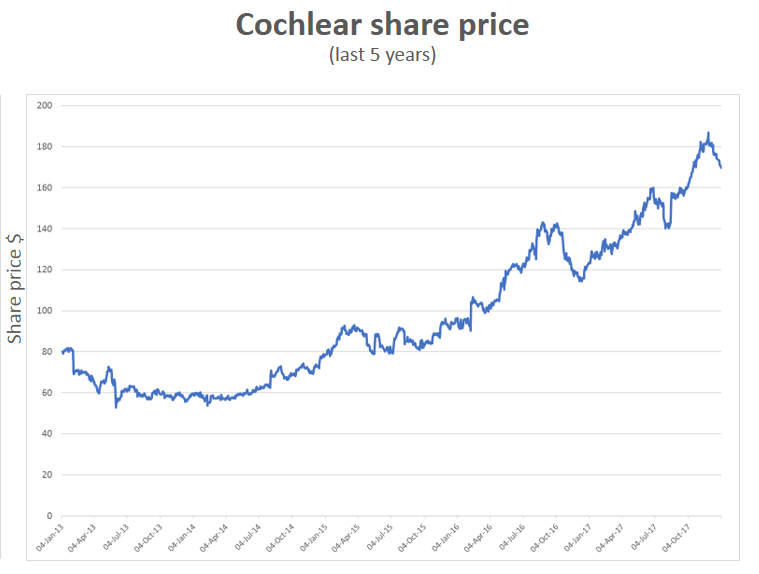 Cochlear is one that has everything that we look for in a quality company – it is the market leader in cochlear implants, it has the best products protected by patents, it spends the most on R&D, it has a strong, recurring earnings base through its software upgrades, and very good management. However, we don’t hold Cochlear due to its high valuation, as it is trading close to 40x earnings, which is well above its historic norms. At this valuation, we believe that there is a significant risk of capital loss, especially if the business has a minor hiccup. In contrast, Virtus Health has a reasonable valuation of 14-15x earnings but it does not meet our quality criteria. Virtus is a provider of assisted reproductive services in Australia and Ireland, and we believe that it has very weak competitive advantage, as the value of its business lies predominately with fertility specialists who are on relatively short five-year employment contracts. Virtus’ EBITDA margins also look unsustainably high (30 per cent in Australia), especially when one bears in mind that Government funding makes up around 50 per cent of total IVF revenues. Virtus was also listed as part of a private equity IPO in June 2013, which gives us extra reason to be cautious given the financial alchemy often used to make these companies attractive. Ramsay Health Care is quite a well known healthcare stock that gets a lot of publicity – do you currently hold it? We used to have a much larger holding in Ramsay Health Care, buying in at $12 many years ago. However we have significantly reduced our holding in the company as the stock price approached the $70 a share level as the company looks fairly fully valued now. Ramsay is a global hospital group that operates over 200 hospitals and day surgeries in Australia, France, Indonesia, Malaysia and the United Kingdom. We’re less optimistic about the growth prospects of its UK and France operations, given they are more reliant on government funding, which therefore makes the company’s outlook far more challenging. That said, Ramsay’s earnings should still grow, but at a rate lower than they have historically. This, combined with its high valuation, is why we have trimmed back our position. And finally, how do you see the years ahead unfolding for the Healthcare sector? After 5-6years of very strong returns for the Healthcare sector (which has risen circa 400 per cent since November 2011), we are not expecting returns like these to be repeated going forward. As I mentioned in Part 1 of this interview, the sector’s valuations are close to historical highs and governments are doing their best to rein in the growth of healthcare costs. We expect that some companies will perform better than others, particularly those with reasonable valuations that continue to invest and innovate. At the current point in time, Sonic Healthcare and Ansell are appealing on both these measures from a long-term point of view, based on their quality and valuation and Mayne Pharma looks like a very good turnaround situation in our view. Very good article Daniel. However, its a pity you did not include a write-up on RMD which you mentioned above. Any chance of including your/IML's views on it in these comments or an updated version of the article? Thanks Darren. While RMD wasn’t included in this article, we regularly publish Investment insights and views from our Portfolio Managers and PMs. You’re welcome to sign-up to receive these on IML’s website www.iml.com.au and we also post many of these articles on Livewire.